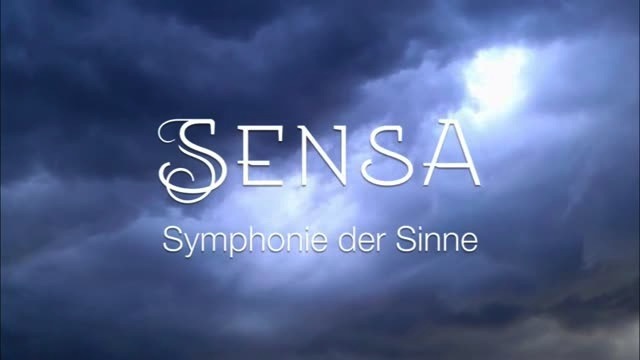 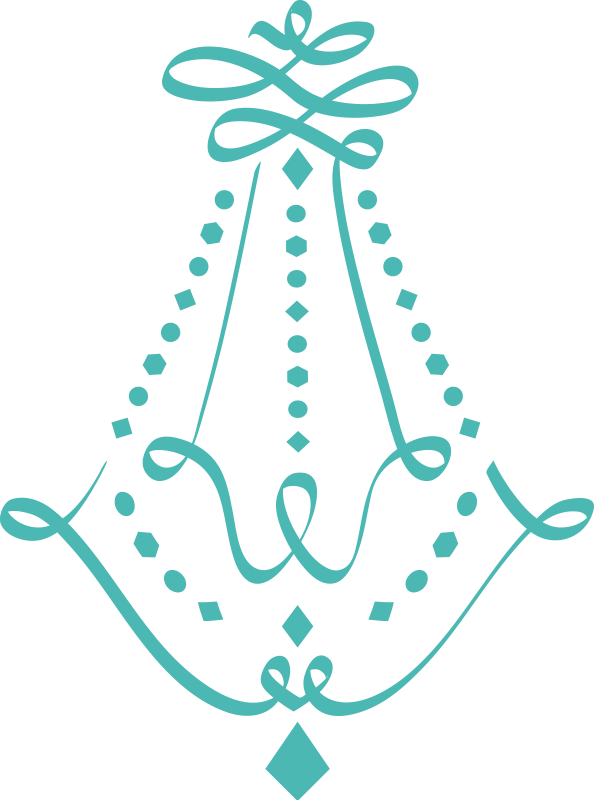 SENSA plays at Stadthalle Gifhorn, sold out again, months before! 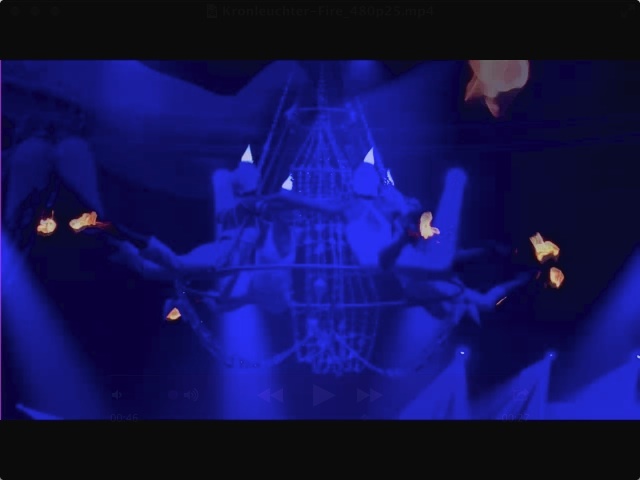 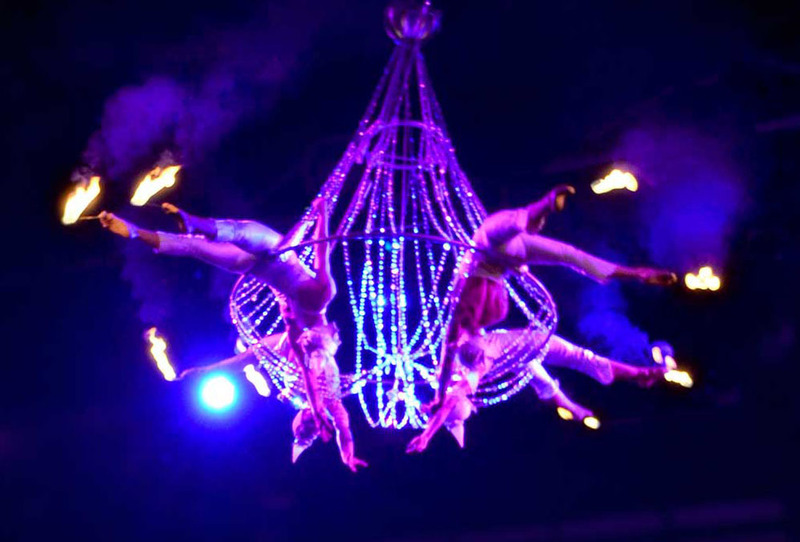 The feature-length production around the Chandelier with Quadro Nuevo, Kristalleon and other fantastic acts is reborn. 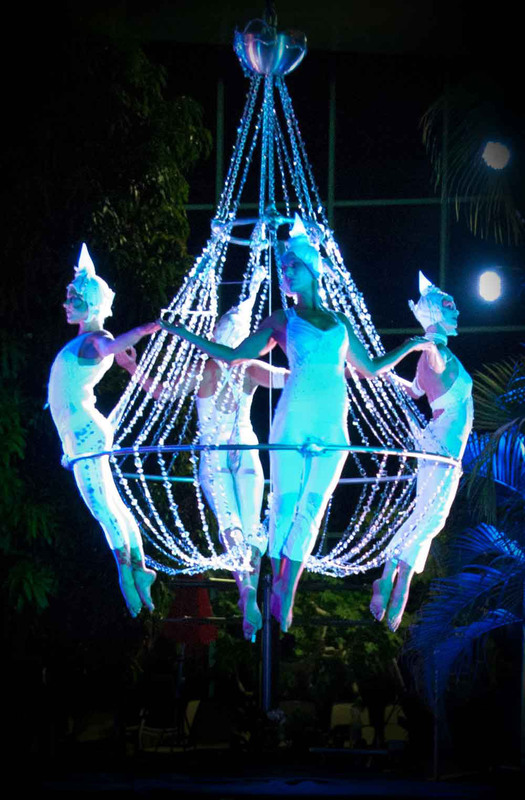 The Chandelier is the opening act for Märchenfestival Wattens in Austria, just a few metres away from Swarovski. 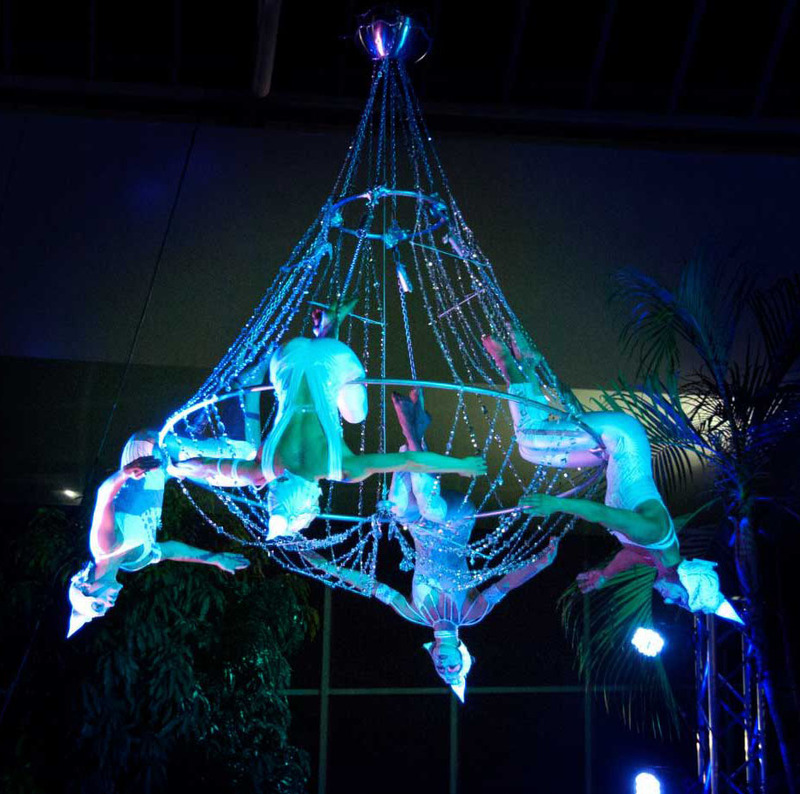 ...and as Musical Highlight at Therme Erding: the Phantom and Christine with an Aerial Duett, under the Chandelier. 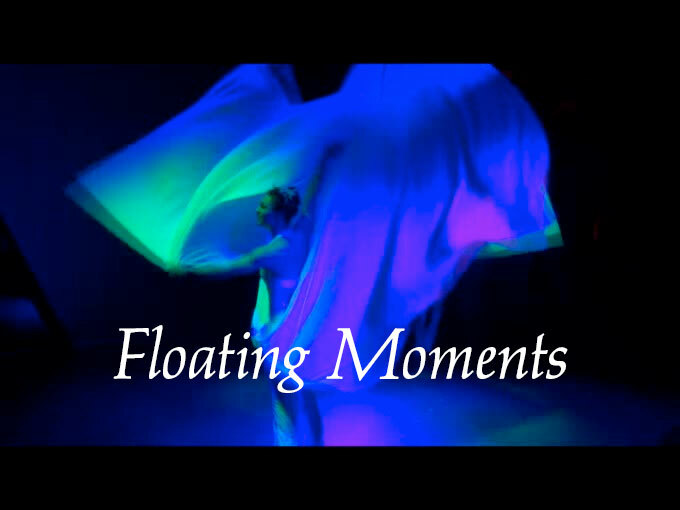 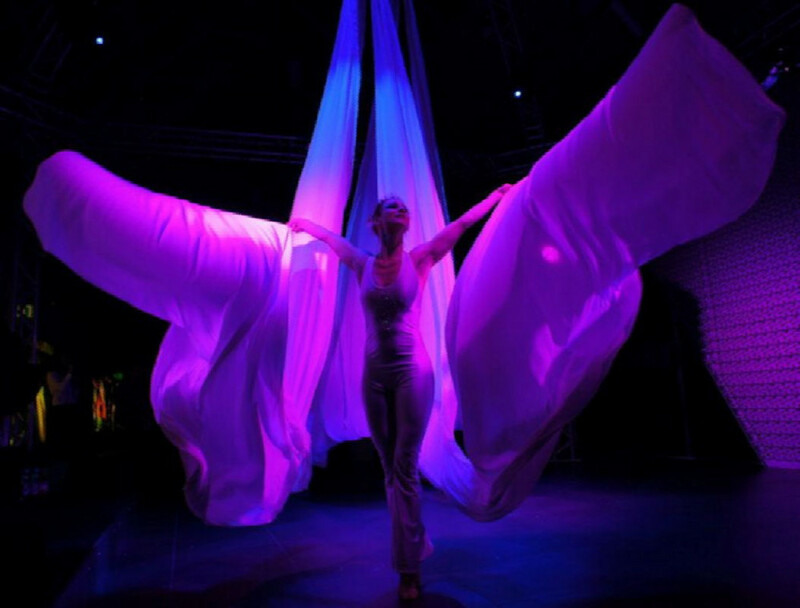 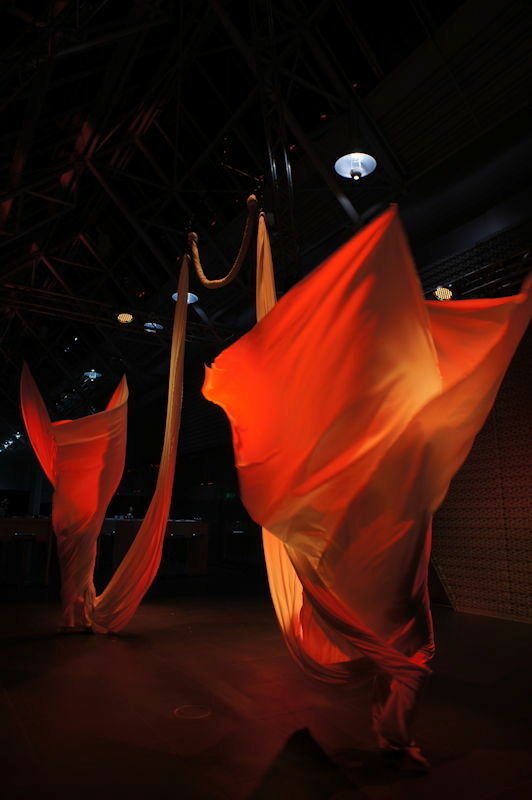 The dream of flying – artistically interpreted by Duo Circul’Air. 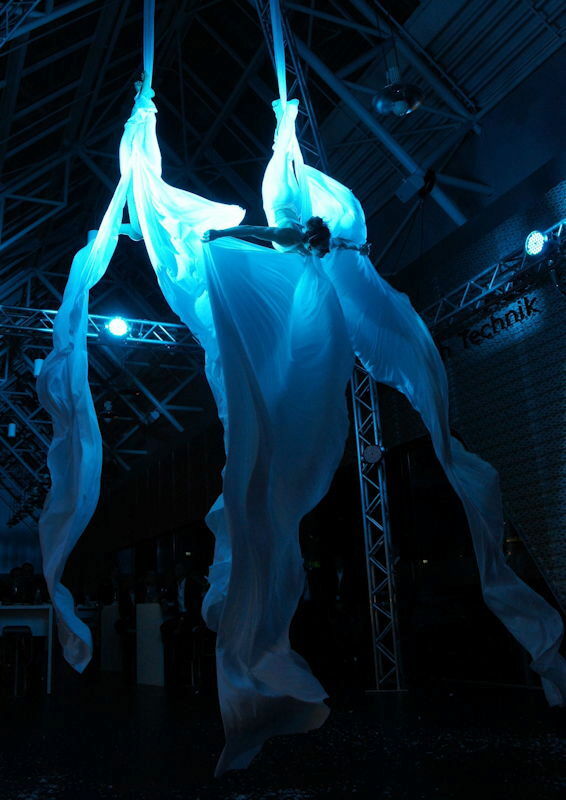 As if weightless, the two artists rise into the air on a white silk thread. 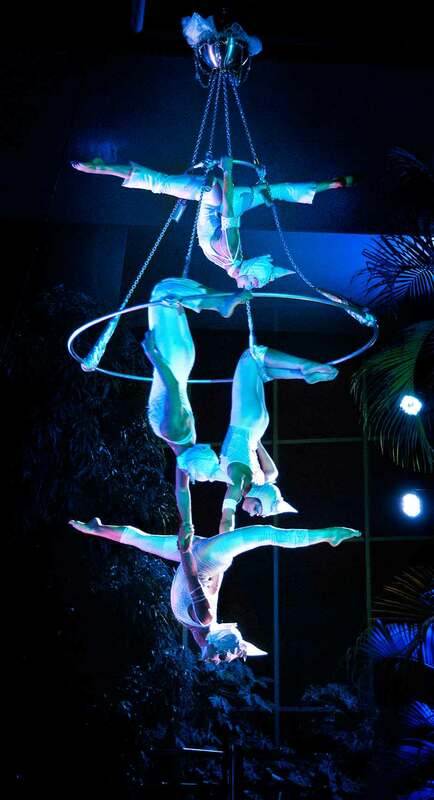 In wide circles they rotate around one another as they graciously turn upon their own axes. 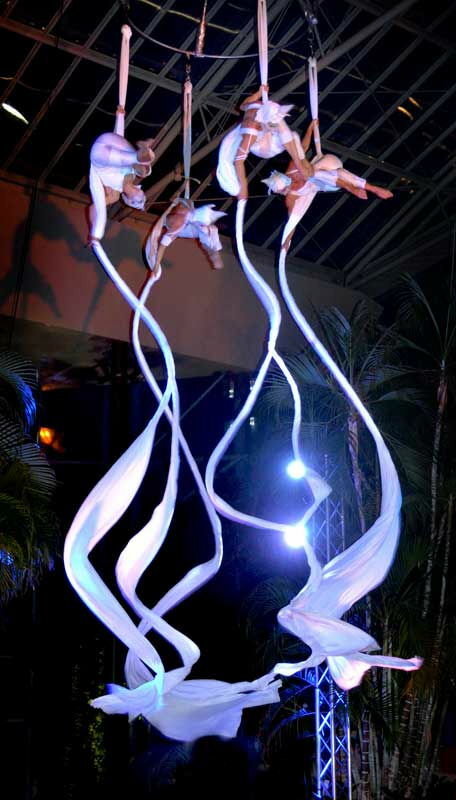 The synchronized movements on the flying tissue are wonderful and beautiful to behold. 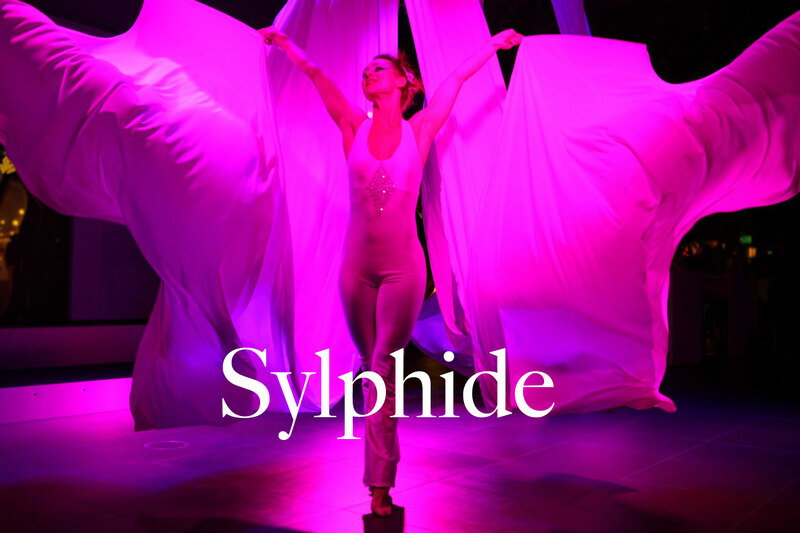 A symbiotic interplay in the airy heights. 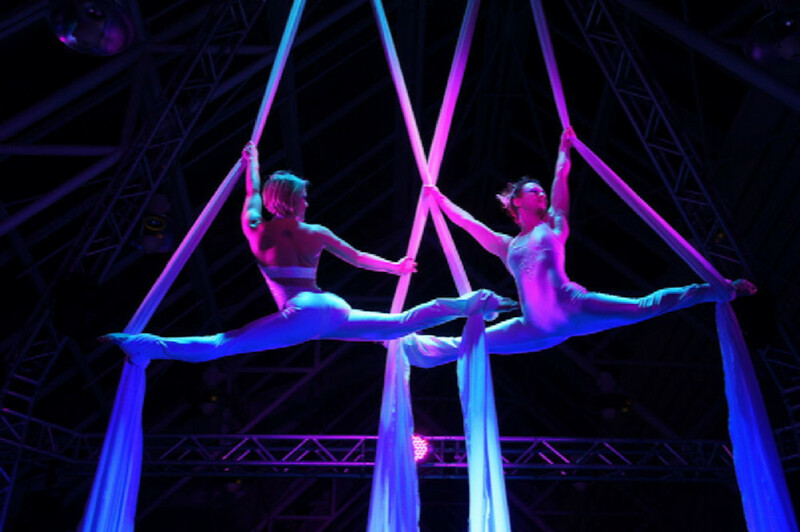 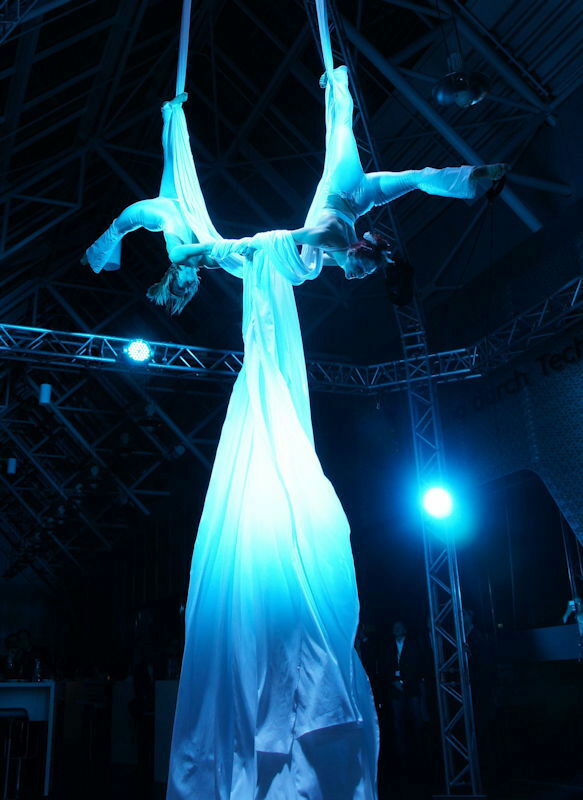 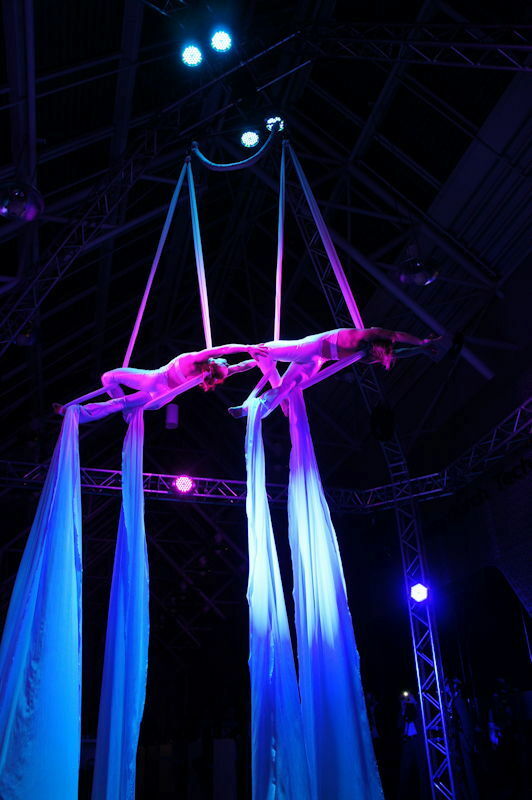 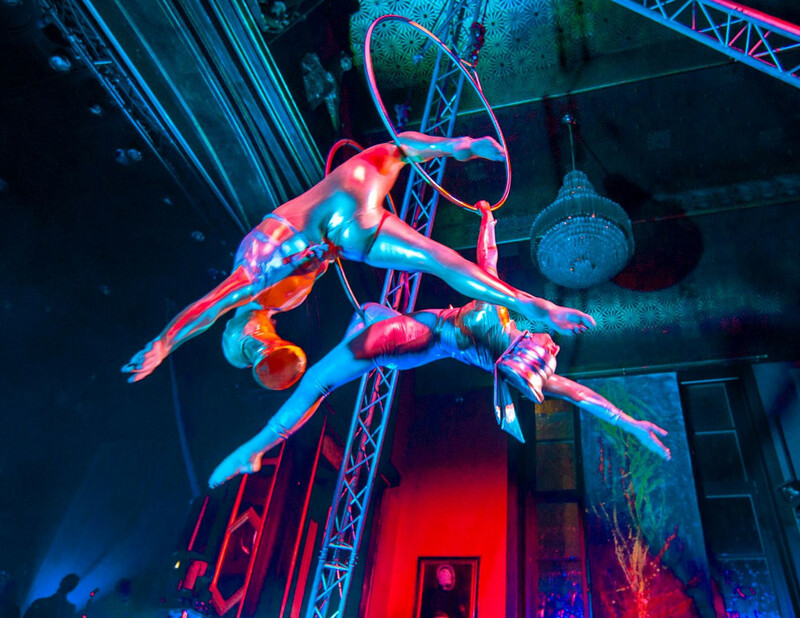 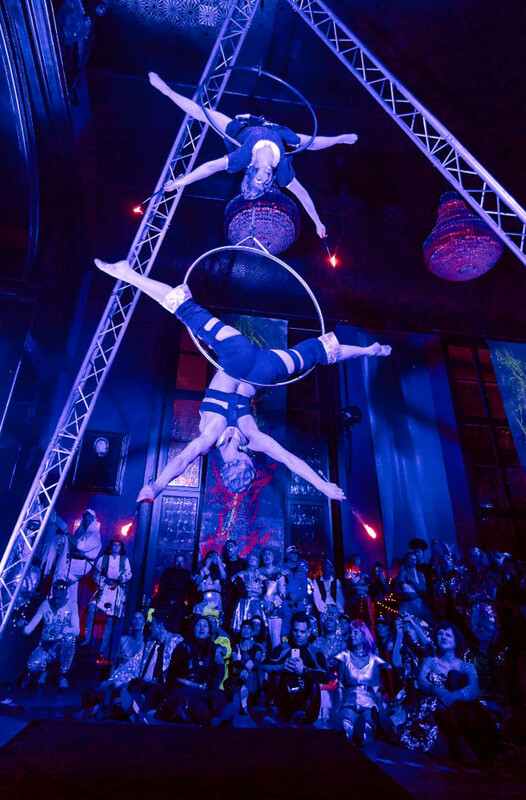 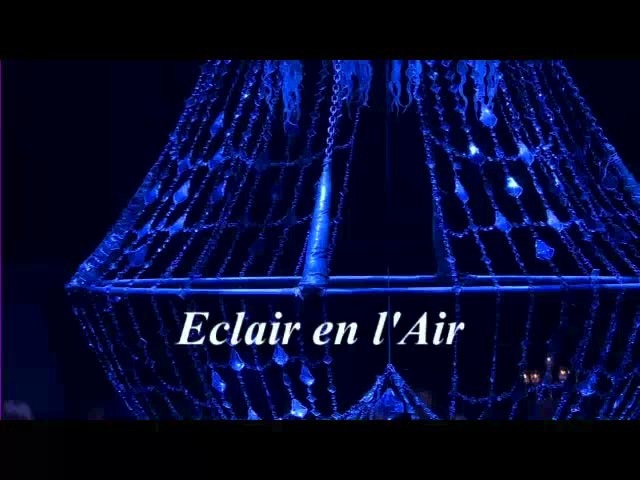 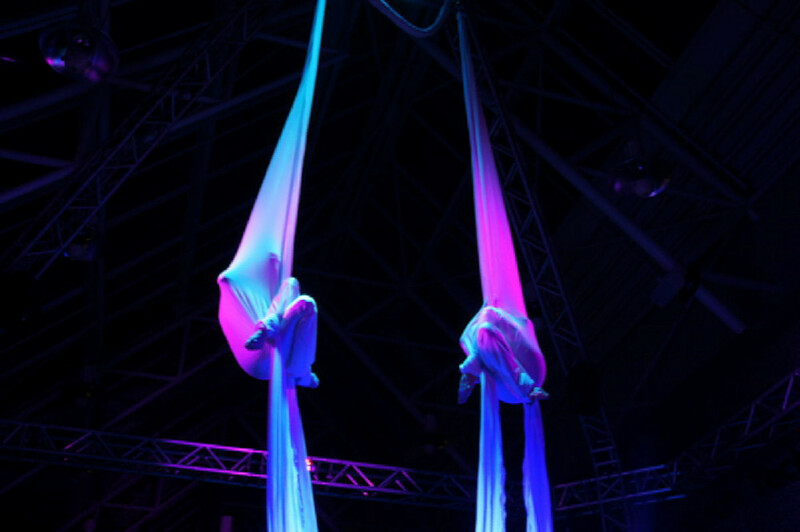 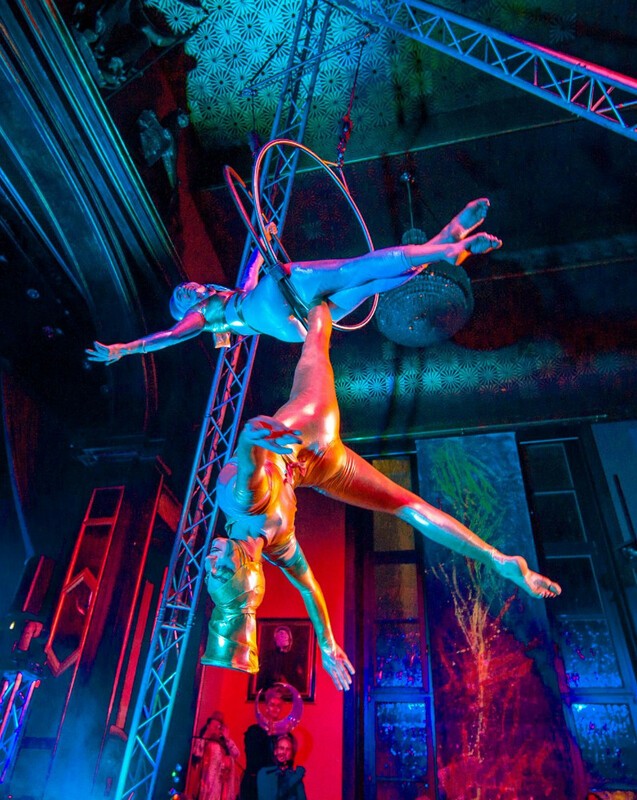 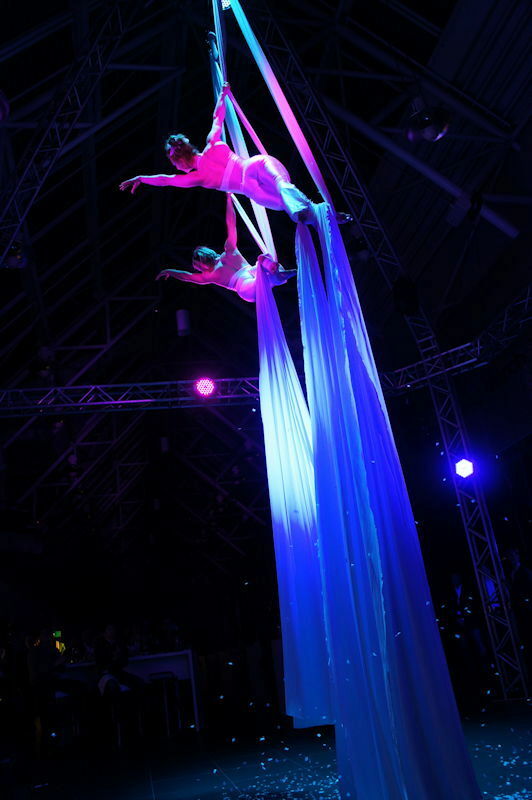 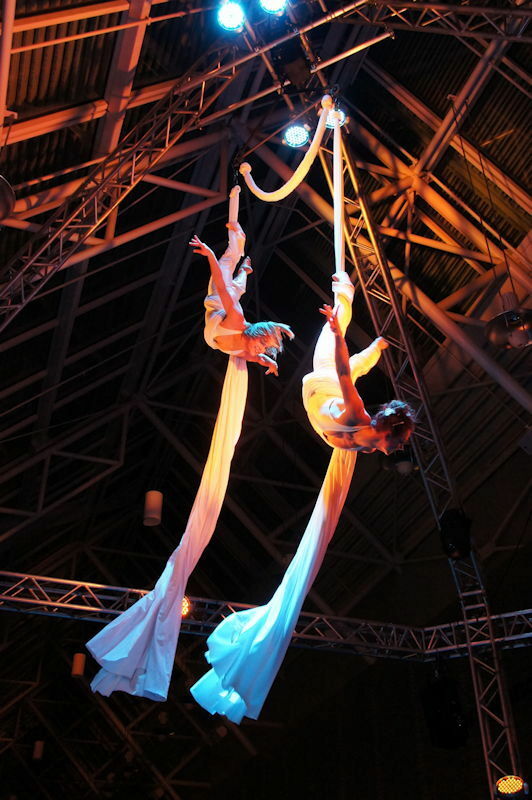 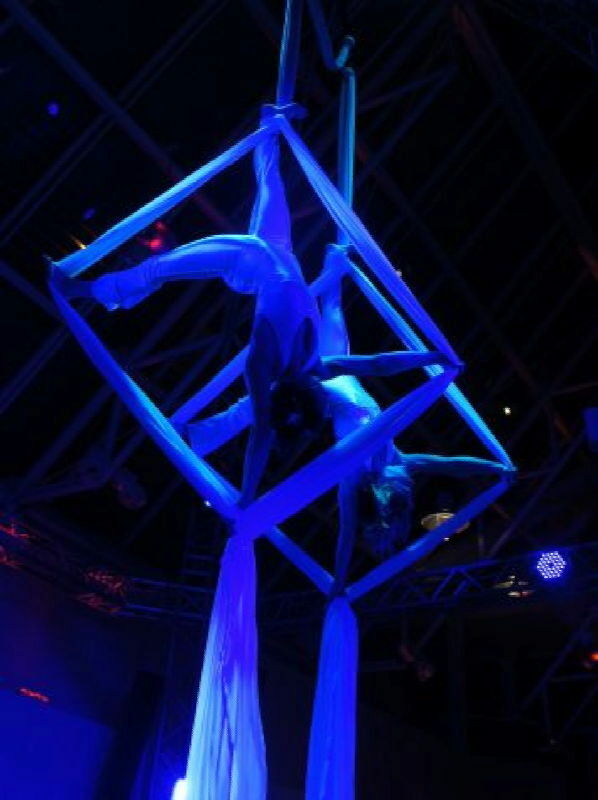 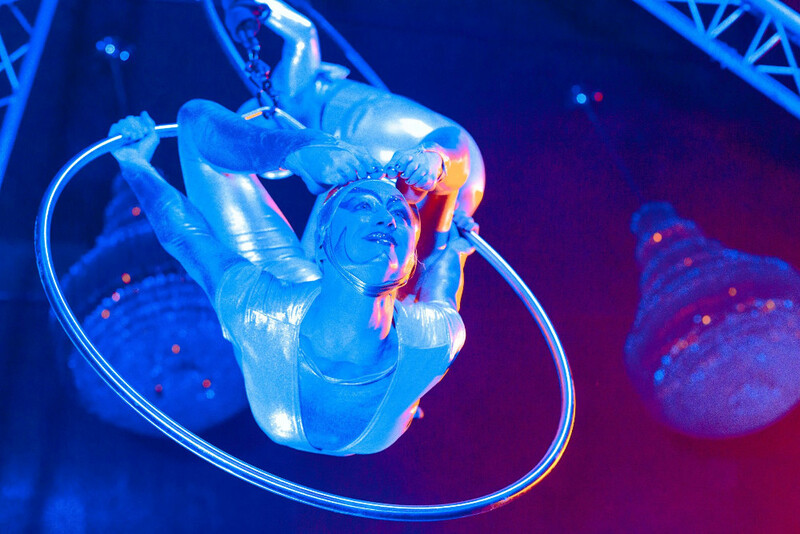 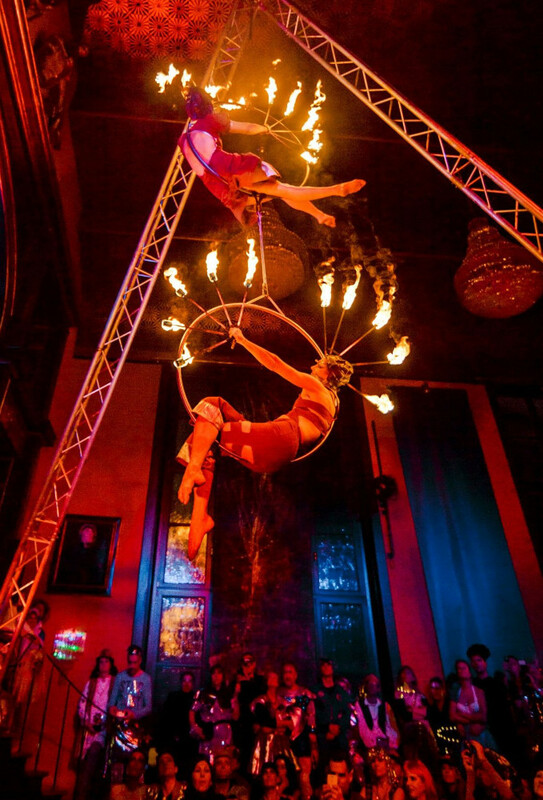 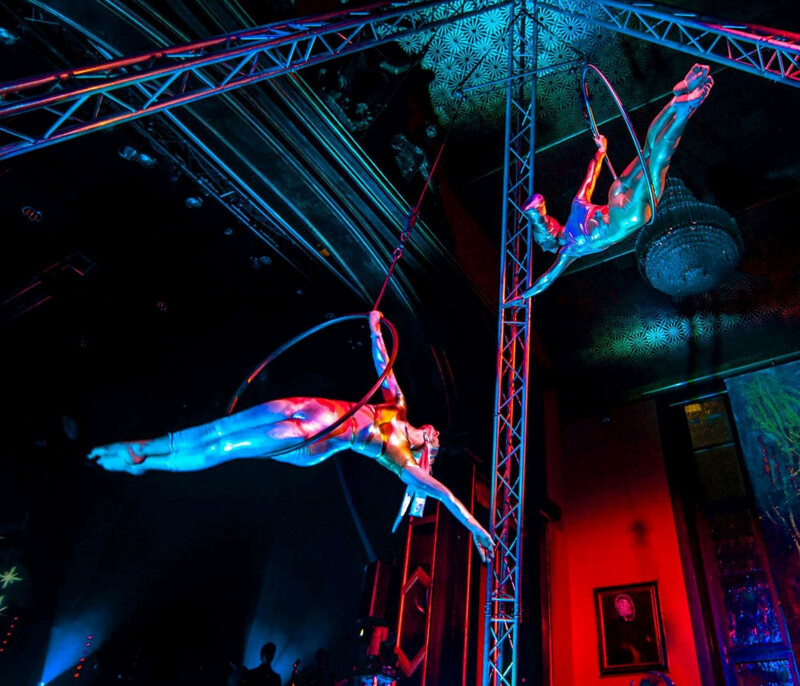 Two artists perform on two aerial tissues attached to a rotating bar. 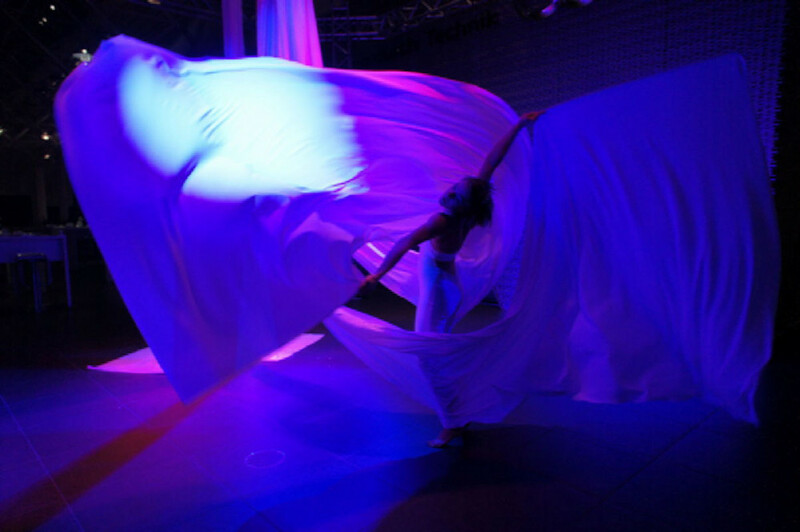 A dance with wide white wings … floating, whirling, turning. 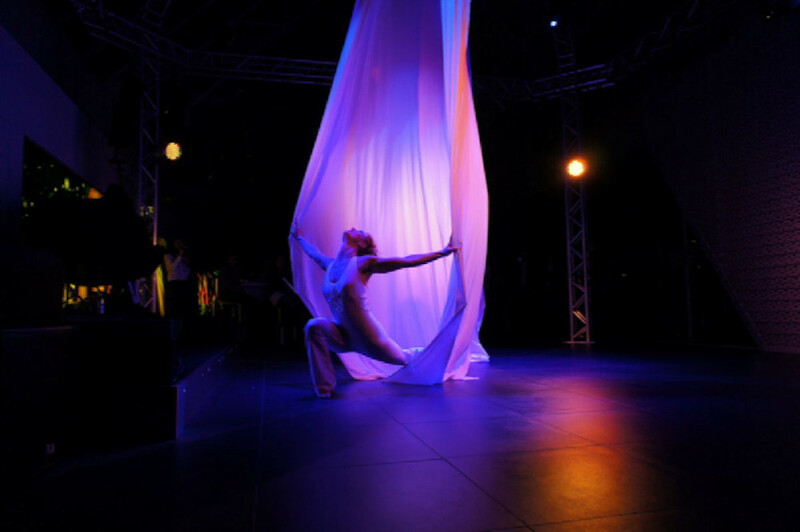 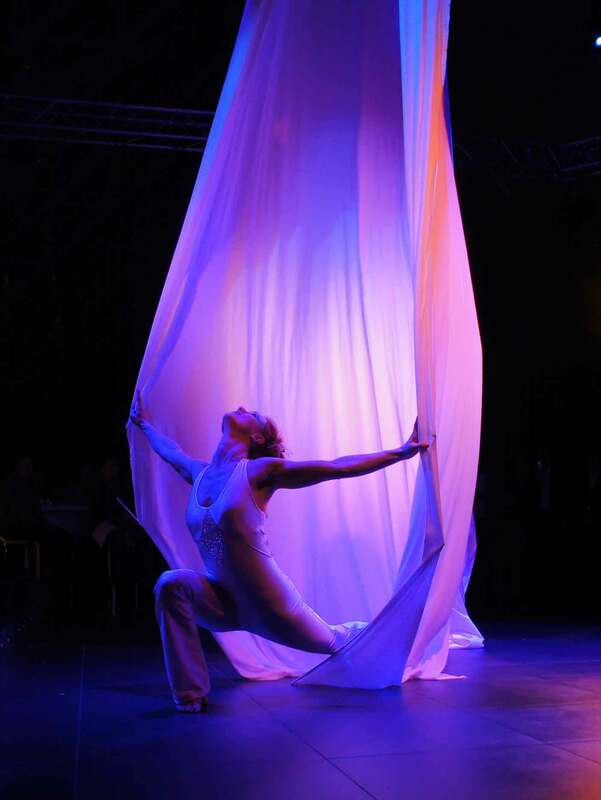 Just using silk and light, the dancer creates magic moments. 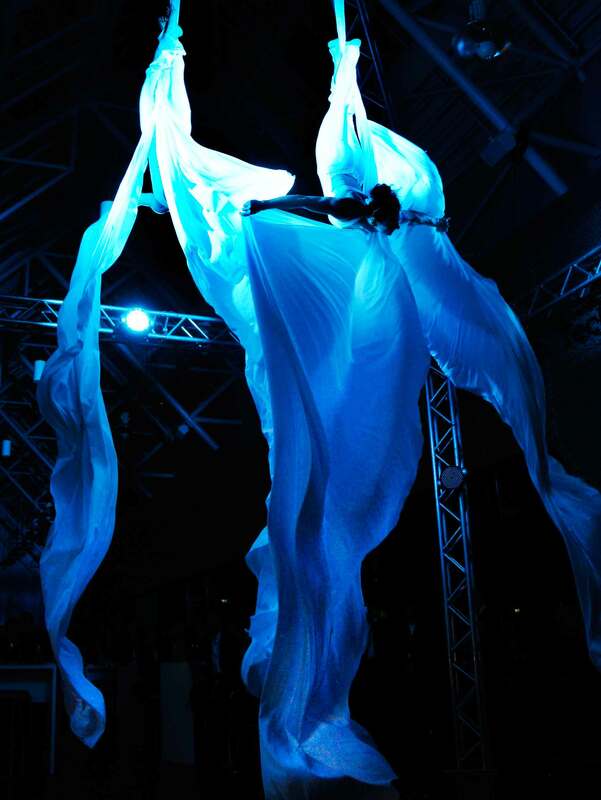 * By using a motor, the length of the tissues can be easily changed. 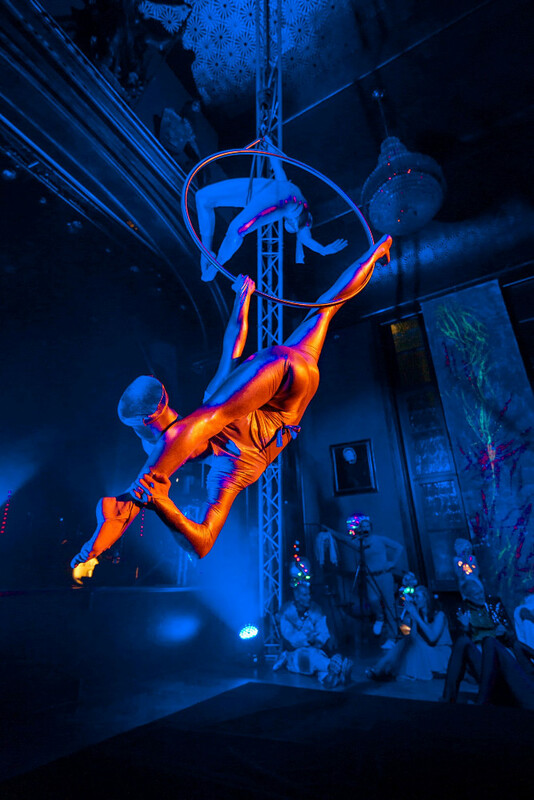 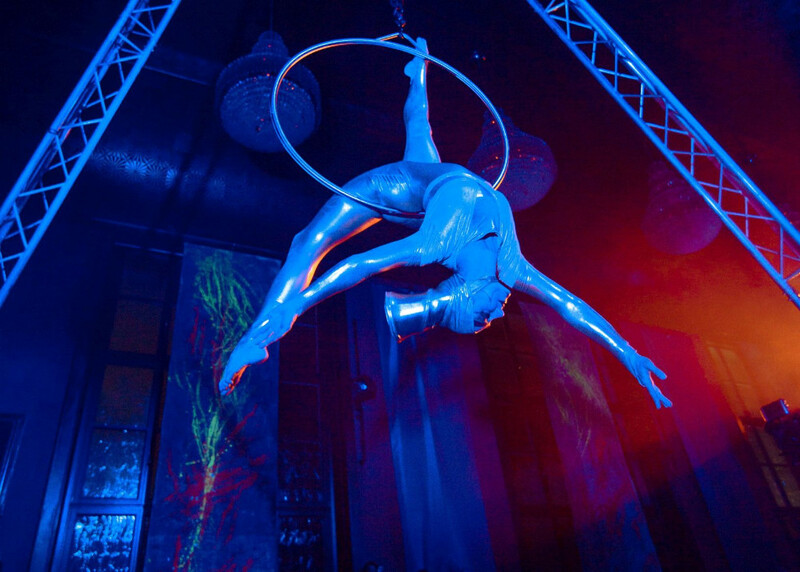 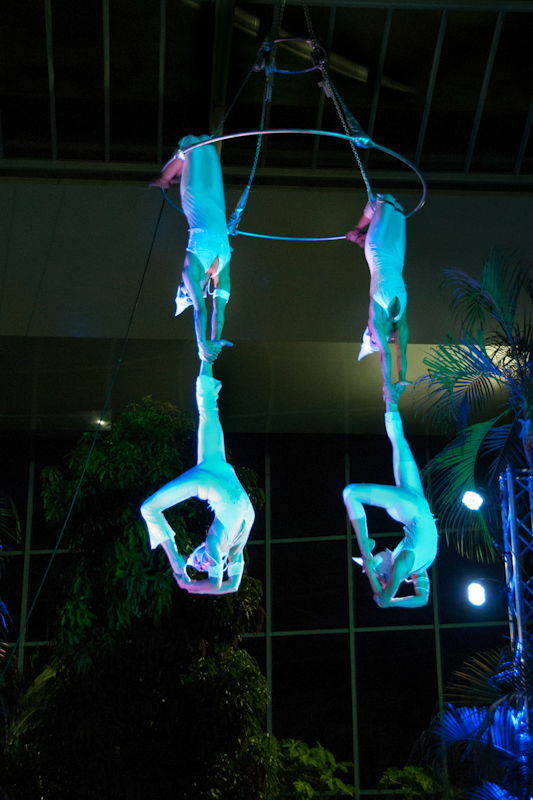 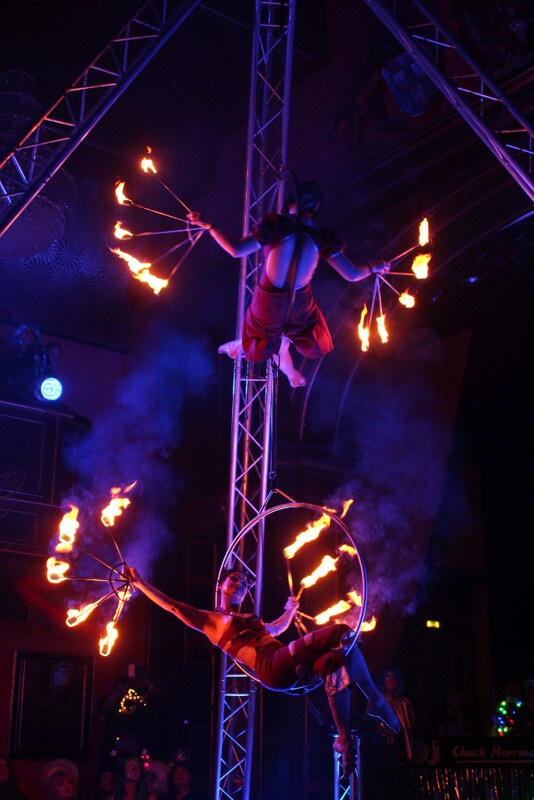 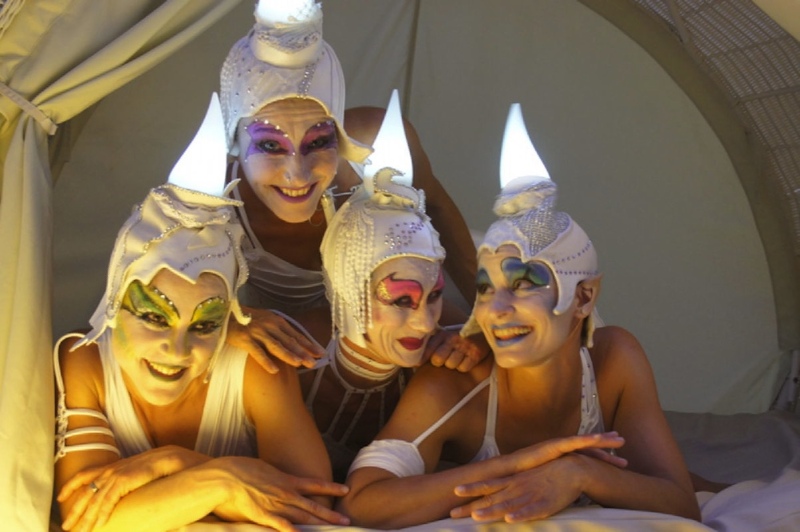 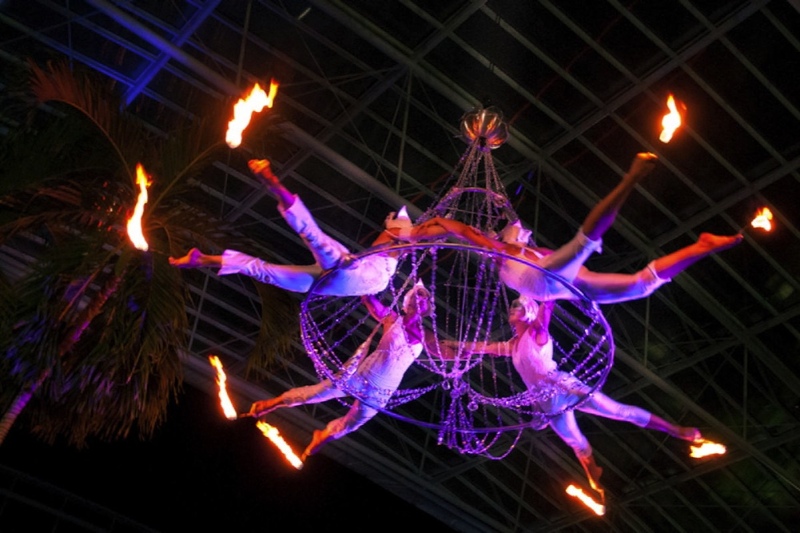 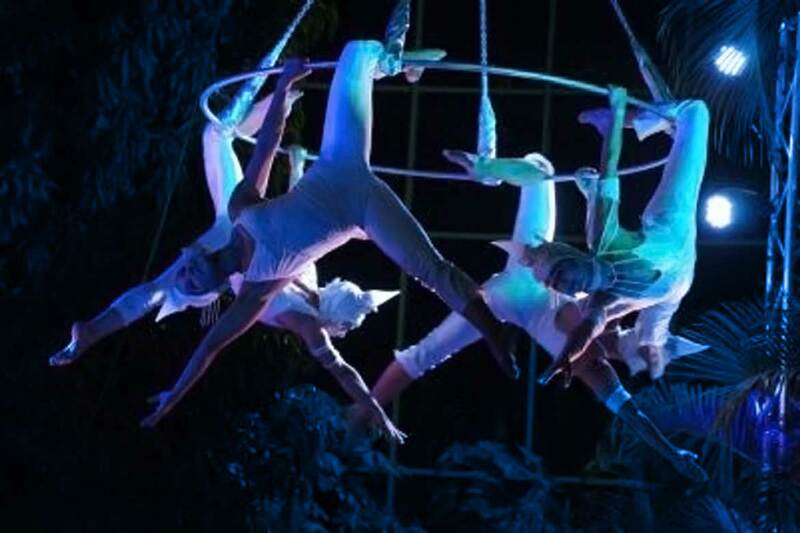 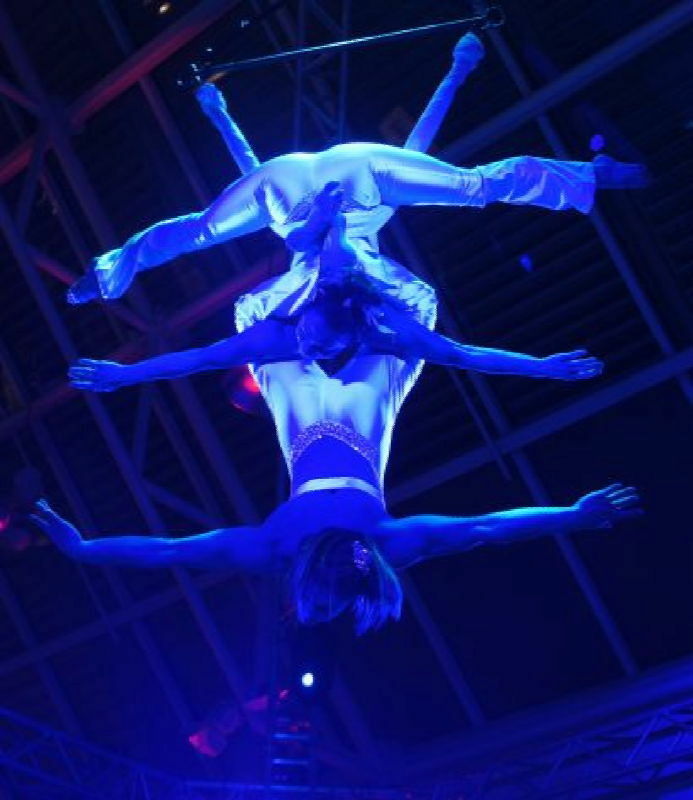 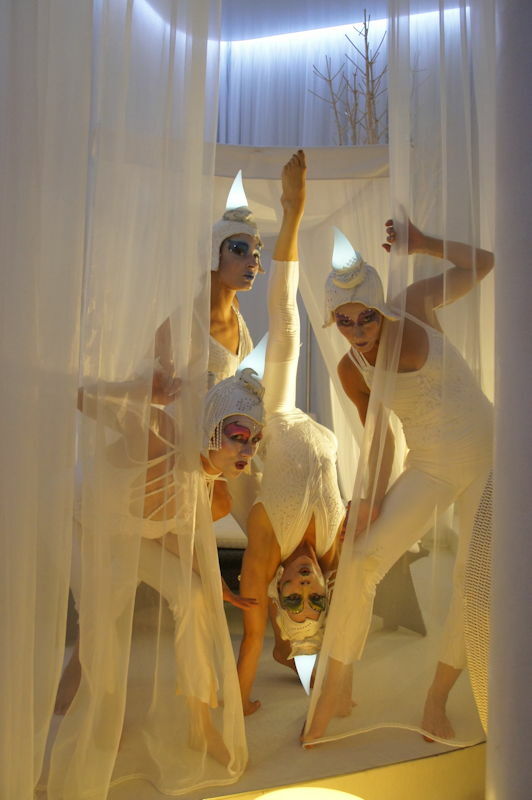 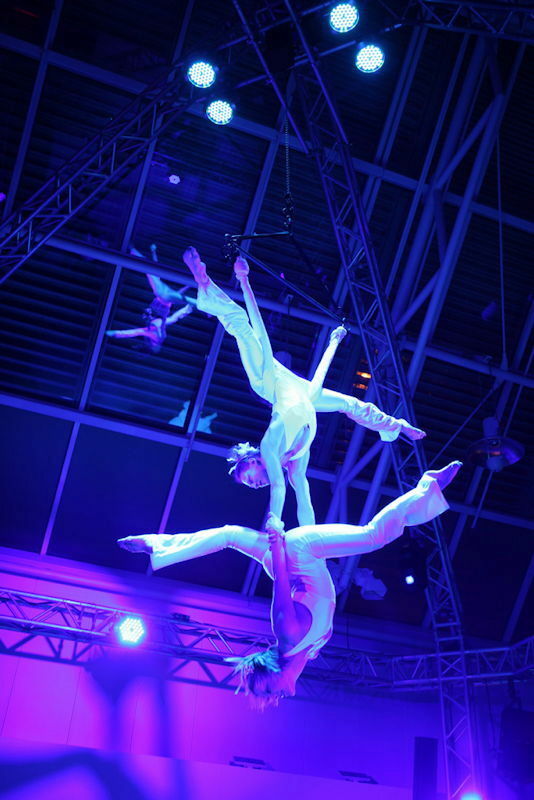 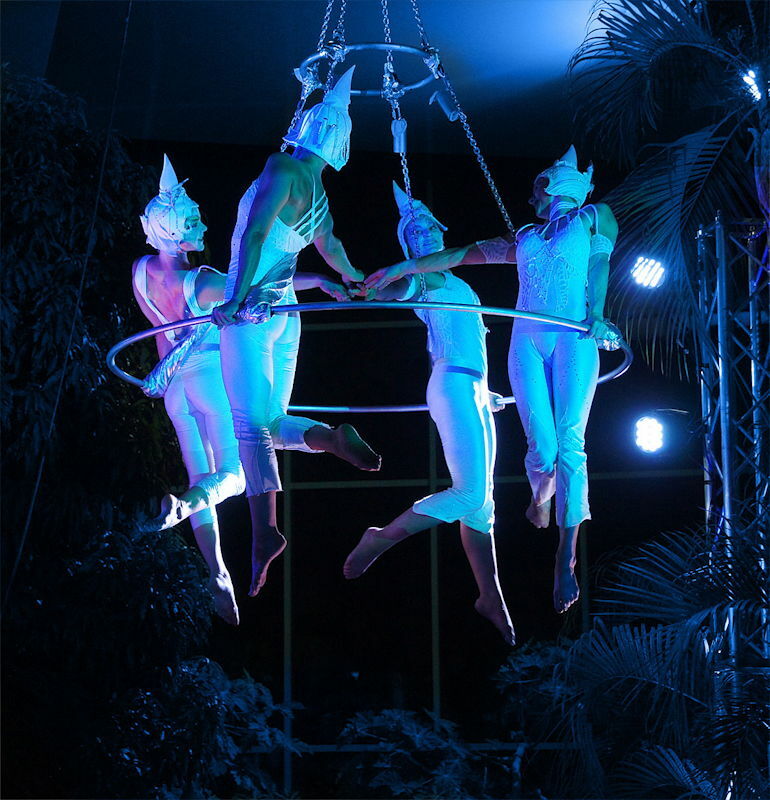 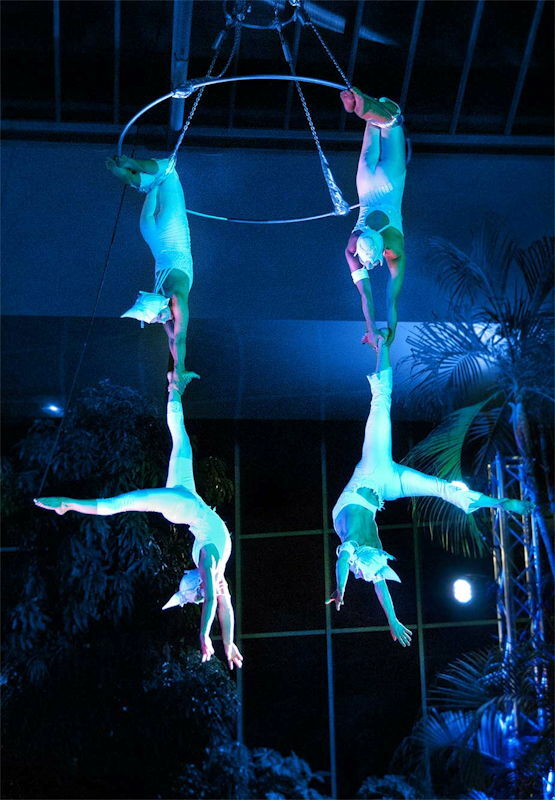 That offers this big variety of moves … the show can be performed at hights up to 30 metres.